You are right Rick. The balcony was gone by then. Not sure when that happened. I worked at the candy counter 1956-57. I remember dish night. Most of the guys use to throw the dishes on the floor it left a mess for sure. I loved that theater. When it would close for a couple months I would work at the krim in Highland Park. the interior pictures aren''t right it didn''t have a balcony. i was there several times when it was called the temple. i lived in the neighborhood and went with my mom weekly on free dishes night. 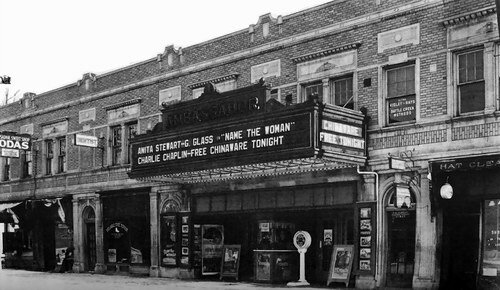 Opened as the Ambassador in 1924, this 810-seat neighborhood movie house was in a two-story brick building which also housed stores, a soda shop, offices and apartments. In 1945, it was renamed the Temple, and again in 1961, when it became the Art. In its later years, it operated as an adult film theater. It has long since been closed and torn down. Cinema Treasures Link. February 1959 - Arthur Sedgewick is operator at the Temple Art Theatre under the new Albert Dezel management.